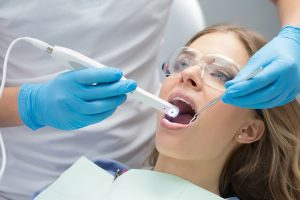 Our office is excited to introduce the latest in oral cancer detection technology. Oral cancer are aggressive growths that can invade the tongue, roof of the mouth, gums and cheek. In the United States, an estimated 36,450 new cases of cancer of the oral cavity are diagnosed annually. Risk factors that increase the incidence of oral cancer include alcohol, tobacco, human papilloma virus (HPV). 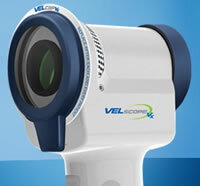 Our office uses a device called the VELscope Vx which provides enhanced vision when it comes to detecting abnormal tissue areas that might not be visible to the naked eye, including oral cancer and premaligmant dysplasias (pre-cancerous lesions) and FDA approved. Come visit our office to have your mouth screened for oral cancer and take a positive step towards improving your overall oral health!